I have been meaning to post more of my old workshop handouts from No Train, No Gain to this blog. Unfortunately, I was prompted to post this one and another, about attribution, by a plagiarism incident at the Middletown Press. I encourage all of my Journal Register Co. and MediaNews Group colleagues to read this. Attribution is one of journalism’s most serious issues. Plagiarism is inexcusable. Thanks to Justin Ellis of Nieman Lab for a thoughtful two-part analysis of Newspaper Next. He went into much more detail, with greater detachment, than I did in my look back five years later at N2. What I would like to see now is an analysis of the innovative projects inspired by Newspaper Next. So did Newspaper Next succeed in its mission to reshape the industry? Not exactly. We’re still in the thick of uncertain times in the news business, but invention has crept into certain corners. Newspaper companies are experimenting with apps, testing new platforms, and publishing niche products (online and in print) to reach audiences outside the daily newspaper. That’s all straight out of the Newspaper Next playbook — but it’s doubtful newspaper execs would have sat by idly if a report five years ago hadn’t told them to try to develop new products. Publishers, editors, executives, and other journalists involved in Newspaper Next say the project deserves credit for encouraging experimentation inside newspapers. But with all its reach and ambition, the project was stifled by economic factors, including the industry’s near extinction-level event in 2008 that saw massive losses in jobs and revenue. As much as Newspaper Next set out to give news companies the tools to transform, survival may have been a bigger and better motivator. Twitter has succeeded in spite of itself. As a concept, Twitter is brilliant, revolutionizing communication worldwide with its simple concept of sharing short messages. As a company, it continues to disappoint me with its mediocre technology and its poor customer service. Readers of this blog know that I am an enthusiastic and tireless advocate for Twitter as a journalism tool. The Twitter category on my blog has more than 100 entries, the second most-used category on this blog. Early in my days using Twitter (early 2008), the company had trouble keeping up with the growth of its service. 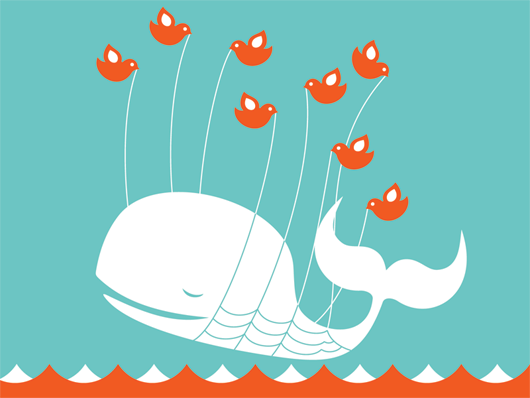 The “fail whale” was a regular feature and a running joke among the tweeps. @stevebuttry What are advantages of 4sq again? I may blog about that: RT @incrediblekulk What are advantages of 4sq again? The benefits of teaching yourself go beyond the skill you just learned: You underscore your own responsibility for your professional growth; you are less intimidated the next time you encounter a new tool or technique you know you should learn; lessons stick better when you learn by doing. You can read the rest over at Buffy’s World, but I’ll make one more point here: I was pleased to see Buffy reach out to start working with me before our bosses work out details of our new relationship. Buffy is an editor and social media coordinator at the York Daily Record, a news organization owned by MediaNews Group. Last month JRC and MediaNews reached agreement for a new JRC subsidiary, Digital First Media, to manage MediaNews. Bosses are working out exactly what that means, but Buffy could see that it meant that we’re colleagues now. She didn’t need to see the new org chart to send me a Twitter direct message, inviting me to write a guest post. I admired the initiative and look forward to working with her and other MediaNews colleagues. How do you attract interested local followers on Twitter?